Patna: In a bid to provide financial help to those suffering from kala azar, the Bihar government has decided to hike the patients’ assistance money during their treatment in hospital, officials. “Unlike in the past, the government will now provide assistance money to kala azar patients for 30 days,” state health department Principal Secretary R.K. Mahajan said. Besides, one of the patient’s attendants will be provided an assistance of Rs 200 for two days. At present, the government provides only Rs 200 to kala azar patients for two days. 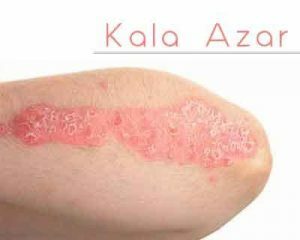 Visceral leishmaniasis or kala azar is known as the poor man’s disease because it affects the poorest. The disease, transmitted by the sand fly, has killed 74 people in the state last year. Over 750 people have died of kala azar in the past five years. The worst kala azar-hit areas of Bihar are the districts of Vaishali, Muzaffarpur, Sitamarhi, Saran, Gopalganj, Saharsa, Araria, Sitamarhi, Madhepura and East and West Champaran.